The sky above my garden last week, within minutes the blue was replaced by a sickly yellow. Solar geoengineering is controversial, and for good reason. It describes a set of technologies that seek to reflect a small fraction of sunlight back into space to cool the planet. The most prominent such technology involves deliberately injecting tiny reflective particles into the stratosphere. 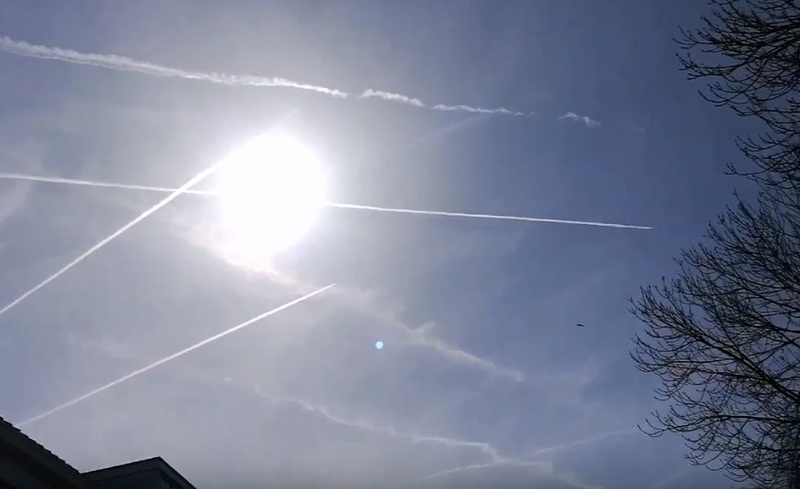 The global climate engineering assault is becoming all but impossible to hide in plain sight as the climate and biosphere collapse accelerates. In response, the power structure's propaganda puppets are doing all they can to continue their attempt to cover up the critical climate engineering issue with carefully crafted disinformation. How do we counter the climate engineering cover-up campaign of disinformation? By knowing the building block data and facts relating to this issue, by sharing credible data with others, and by holding the propagators of propaganda publicly accountable for their criminal disinformation campaigns. “Earther.com" has just published a climate engineering cover-up article of disinformation authored by Gernot Wagner (further down in this post). It is unfortunate (but not surprising) that you are unwilling to engage in a live on-air factual debate.